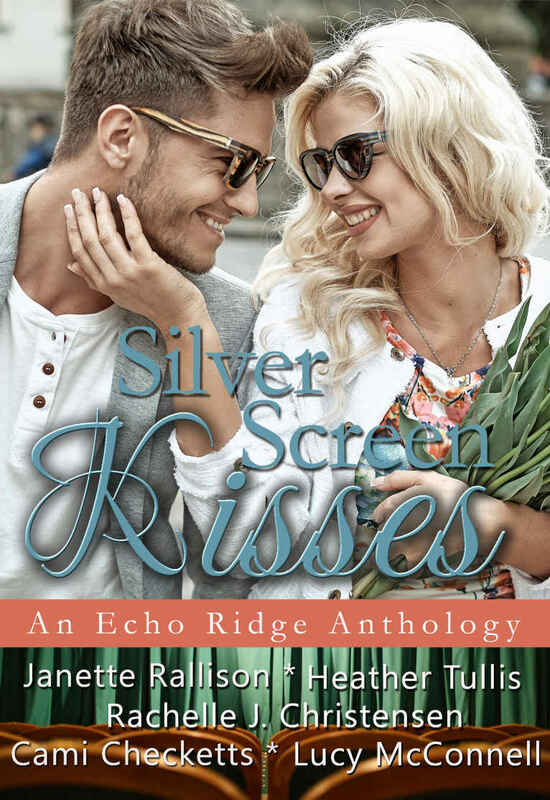 Silver Screen Kisses is out today! This is such a fun set with all the books being based off of fabulous 80s movies. I hope you love it as much as we do. Find it on Amazon * B&N * iTunes * Kobo. Those who enjoy borrowing books from Amazon's lending library -- Silver Screen Kisses will be uploaded there next week. Thanks! Silver Screen Kisses is a collection of stories inspired by movies from everyone’s favorite list. Written by award-winning and bestselling authors, these contemporary romances take the reader back to Echo Ridge in the spring, when the promise of new love is budding just like the tulips around the Emerald Inn Bed & Breakfast. Lacey Johnson has dreamed of opening a restaurant for years. All she needs is one little loan to make it happen. But with the way Lacey talks and dresses, she looks more like someone who would hold up a bank than someone who’d ever get a loan from one. When Garrett Halifax, her roommate’s Harvard-educated brother, volunteers to change her image and teach her to speak correctly, she jumps at the chance. But she quickly finds she’s in over her head. Pretending to fit in with the town’s elite is harder than she thought, and despite her best efforts, she’s falling for Garrett. Could someone who is handsome, rich, and educated ever consider her as more than just a project? A contemporary twist on My Fair Lady, this is a story that is sure to please Echo Ridge fans. Maria never expected to fall in love with a man she’d never met, but she can’t wait to get to her laptop every night to chat with Bobwhite67. She would be happy to focus on getting to know him better, but her two jobs and two sons keep her ridiculously busy. Then there’s her ex-husband’s bookie, who’s impatiently waiting for the last couple payments on his debt. Bret can’t help but notice how hard the beautiful Maria works and the similarities she has with the Zoomama he’s been talking with online. Though he really wants to make things easier for her, Bret accidentally gets her in hot water with both of her bosses. Can he get Maria to give him a chance in the real world and not just online? When a mysterious man offers to help Elise redecorate the old Bed & Breakfast, she gladly hands him a wallpaper steamer. After she discovers his true identity, she doesn’t know whether to curtsy or run and hide. Unfortunately, hiding isn’t an option because her heart is already tangled up with the handsome prince. At the same time, Elise’s old crush from high school wants a relationship and she’s forced to decide whether to chase after a fairy tale ending or stay grounded in reality. Jessica Porter made a vow to marry her best guy friend, Josh, when they turned thirty. When Josh calls with the news that he's coming home to Echo Ridge for his wedding, Jessica is determined to break up the happy couple and take her rightful place as his bride. Gentry Trine, a coworker, agrees to pretend to be her fiancé to stir up feelings of jealousy. However, Jessica didn't realize fake fiancés could kiss like champions, and make a girl smile nonstop. Can she figure out which is the right man for her before she loses them both? Mia Davis’s new job in guest relations at Ruby Mountain Ski Resort gets complicated when the gorgeous Ryder Montgomery falls off the ski lift, tells everyone they are engaged, and then loses consciousness. Worried about a head injury, Mia plays along, making him lunch, kissing in the front entryway and planning a future together; a future Mia wants with all of her heart. Things become all the more complicated when Ryder’s estranged family gets involved. Caught up in the fantasy and romance, Mia has to tell the truth or risk losing a part of herself and the man she loves forever. "Excellent goods from you, man. I’ve understand your stuff previous to and you’re just extremely excellent.